Like many other youth and adults in my area, I hear reports from the local news stations on a regular basis which describe the deterioration of a large and phenomenal natural resource I am blessed to have access to, the Indian River Lagoon. The Indian River Lagoon is a wide stretch of Florida’s intercoastal waterway ranging from the area of Palm Bay to as far south as Fort Pierce. 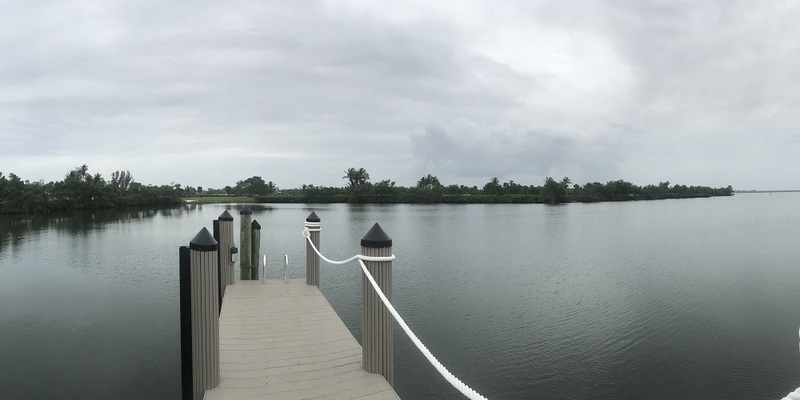 For many members of the Treasure Coast community including me, the Lagoon is a local fishing spot, a place to go and watch the sunset, and for the few lucky ones, a backyard. After listing these few reasons as to why the lagoon is such a gem, you may start to see why this is such a valuable resource that needs to be protected, not to mention it is considered by many to be North America’s most diverse estuary. There are various reasons contributing to the depletion of the lagoon, the biggest being algae blooms, increased bacteria counts, and pollution. The two most harmful forms of algae that can end up blooming in the lagoon are Blue-Green Algae and Brown Algae. Both consume large amounts of oxygen in water which lowers the concentrations of oxygen, in some cases to a point where fish in the area begin to suffocate. These forms of algae can also prevent aquatic plants from photosynthesizing by covering the water’s surface and not allowing light to pass through, or increasing turbidity, which can stop light from reaching the plants. This same increase in turbidity can cause less than desirable hunting conditions for predatory animals that feed on smaller organisms from the lagoon; with the increased turbidity, they may not be able to even locate prey! From the algae blooms’ side effects on the lagoon, there is loss of life. The biggest example of loss of life from the blooms is fish kills. During a fish kill, large amounts of bacteria in the water can occur. These bacteria consume more oxygen, which contributes to the suffocation of additional fish. This creates a domino effect of fish dying and the further contamination of water. My third major reason for why the lagoon is being depleted, and in many cases the cause for the first two reasons, is pollution. We can view the pollution of the Lagoon on various levels, first there is pollution in the form of trash, runoff, and waste. I can’t tell you how many times I’ve walked down to the edge of a public park along the bank of the lagoon to fish and seen plastic baggies or Styrofoam cups strung out across the shoreline. Also, there are many residential areas surrounding the lagoon, including some golf courses, which use large amounts of pesticides to maintain the grounds. When the Treasure Coast experiences lots of rain, like it does around this time of year, many of those pesticides can end up as runoff into the river. Additionally, wastewater (sewage) makes its way into the lagoon on a regular basis, contaminating the water. On February 2nd of this year, three hundred seventy-five thousand gallons of sewage were released into the lagoon! Another large form of pollution in the lagoon is freshwater that is being released from Lake Okeechobee manually in a way that it ends up in the lagoon and other areas of Florida in unnatural amounts. This freshwater is being released because if the lake’s water level rises too much it will spill over and swamp areas south of the lake, including profitable sugar cane farms and residential areas. Many environmentalists consider these large freshwater discharges, and the fertilizers/nutrients they carry with them, to be a main factor contributing to the two types of harmful algae blooms previously mentioned, and consequently higher bacteria counts in the water. To wrap things up, the Indian River Lagoon is in trouble and a superhero isn’t swooping in anytime soon to save it. But it can still be saved, if citizens and lawmakers work together to protect the lagoon. Citizens can stop throwing paper cups over the bridge into the water and instead maybe pick one up off the bank and throw it away. Lawmakers can work hard in their respective positions to stop freshwater discharges and speak for the lagoon which has no voice. As you can see, the lagoon is in a state of peril. But like I stated, it can be saved. The change starts with average citizens like you and me with strong wills and above average ambitions. Editor's Note: Jack Kincusis an inaugural EarthEcho Water Challenge Ambassador, a group of young leaders working to engage their communities in water quality monitoring and conservation efforts while increasing their knowledge of water science and gaining skills to expand their work in this field. To learn how you can join Jack in taking action to protect waterways in your community, check out our EarthEcho Water Challenge resources.